PIAA Lamps - Deno-2 LED UNIVERSAL - Dezod Motorsports Inc - Home of the automotive performance enthusiast since 2002. 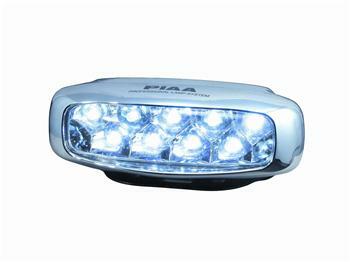 PIAA’s Deno LEDs add safety and style to your vehicle – domestic or import, luxury or econobox. Nine high-intensity LEDs are aligned in a light blue honeycomb designed reflector with white beam output. It has a compact size of 4-3/4-inch width x 1-7/8-inch height x 2-1/8-inch diameter. Nine high-intensity LEDs are aligned in a light blue honeycomb designed reflector with white beam output. Compact size. Kit comes complete with two lights and all necessary wiring for simple installation.